He's young, talented, and a global speaker. He's also going to be speaking at the upcoming East Coast Radio GIBS Business Breakfast in association with Trade & Investment KZN. 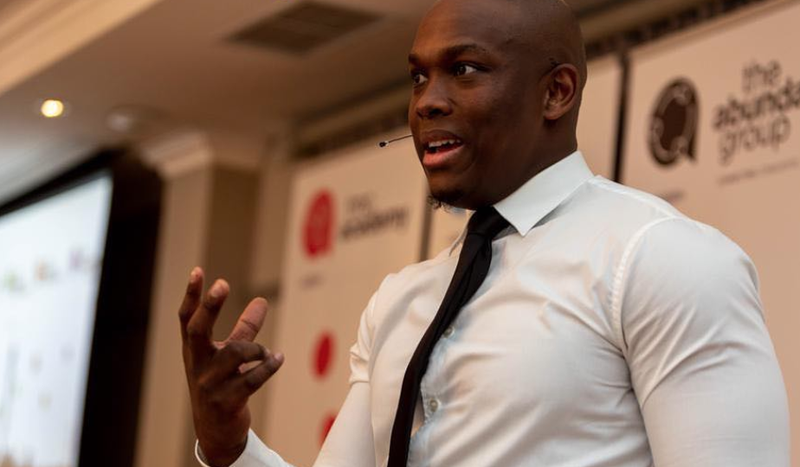 We find out more about Vusi Thembekwayo. The East Coast Radio GIBS Business Breakfast in association with Trade & Investment KZN will be taking place on the 1st of April 2019 at Durban ICC, and one of the speakers that will be making an address is Vusi Thembekwayo. His website describes him as a "Maverick, Leadership genius, Self-made millionaire, and a Dragon, on Dragons' Den Africa" but who exactly is he? Vusi has been described by many as "The Rockstar of Public Speaking" and he has been making waves on the local and national front. He is the youngest JSE Director in South Africa and has an influence worth R4.27-billion through his various board appointments. Thembekwayo's success started young. At the age of 25, he ran a division worth R400-million. He now lives his life like a true businessman. He prides himself on being a global speaker who inspires revolution. From Kampala to New York, Vusi's voice has touched the masses. According to his bio, Vusi is different compared to traditional speakers. He says that because he wears "scars of business wars", it is these scars that help him to give off true business wisdom to those who attend his talks. Take Charge and gain valuable insight from the "Rockstar of Public Speaking" at this year's East Coast Radio GIBS Business Breakfast in association with Trade & Investment KZN. It will be taking place on the 1st of April 2019 at Durban ICC. For more information and to book tickets, click here.